Photo: Péter Guzsaly, Unicorn Whisperer, Szilvi Koleszár, Co-founder and CEO, Nataly Duyko, PR Manager, and Rita Helli, Information Engineer. Photo credit: Tamás Kovacs. The idea of a project that would encourage girls to choose a technology career came to Szilvi Koleszár during her research time in the US back in 2014. After meeting several prominent educational organizations in San Francisco and other cities in the US, Szilvi knew that she wanted to start a project for young girls to engage them in technology. Szilvi Koleszár and Zsófi Major became the drivers and co-founders of the project. Dr. Felde Imre, Vice Dean of John von Neumann Faculty of Informatics at Óbuda University, helped the startup project to develop a curriculum. Soon after that Péter Guzsaly joined the team and helped with operations and marketing development. What started as a hobby project has today helped over 2,500 girls. Skool has made it in over 600 articles in both Hungarian and international media. They have over 8,500 followers on social media and have participated in several international events to present their project. They also run a programming contest in the Visegrad Group countries and Skool workshops in Vienna. “We wanted to reach as wide as possible, we arranged workshops both in Budapest and in the countryside. We got support from many software and IT companies that either sponsored us or hosted workshops. Skool project got over 500 mentors and now, four years later, we also have a huge alumni network,” shares Szilvi. “I believe the reason behind our success is that we were the first ones on the Hungarian market with such initiative and, of course, our amazing team. After only six weeks of existence, we got over 20 partners and arranged lots of events,” adds Péter. 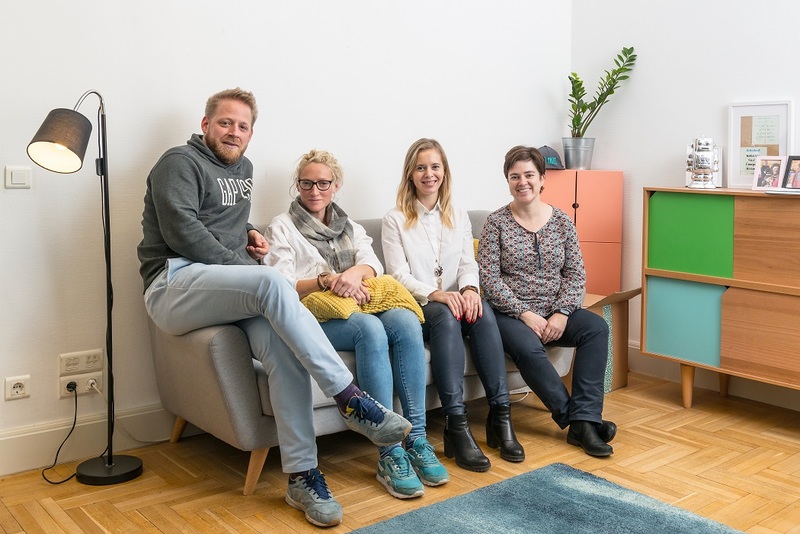 In 2017 the organization started a new project together with Google, KódKlub, where they provide computer science classes for children living at children’s homes. The plans for 2019 are very ambitious. Szilvi and Péter name alumni group activities, mentor meetups, and further development of the course. “We find it very easy to identify Sigma Technology with Skool’s vision to empower, inspire, and help young girls to choose a technical career. It has been an honor for us to participate in Skool’s Minecraft Summer Camp and host a workshop in our office. We are looking forward to cooperating with Skool in 2019,” says György Nagy, Country Manager at Sigma Technology Hungary. For more information, please, contact György Nagy, gyorgy.nagy@sigmatechnology.se. Skool is a flagship project of the Technology in Education Foundation that provides free technology training for 8-18-year-old girls. Their core activity is introduction to technology; success- and experience-based coding courses with a focus on design learning and algorithmic thinking to increase female engagement in the technology sector. Sigma Technology is part of Sigma and is a global supplier of product information, software & embedded design, and offshore development. We are experts with a passion for technology and information. We take pride in delivering quality and constantly improving our deliveries. Our philosophy is “Local Drive – Global Strength”, therefore we have offices worldwide to be close to our customers. For a complete picture, visit sigmatechnology.se.